Born in 1966, employed by SEB since 1995, Master of Business and Economics – Main subjects: Organization, Financing and Marketing. Country Manager for SEB in Luxembourg and Managing Director Skandinaviska Enskilda Banken S.A., Luxembourg. Born in 1964, employed by SEB since 1997, Master of Science in Economics. 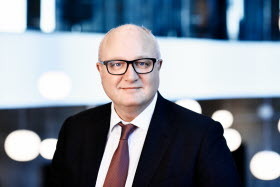 Country CFO and Deputy Managing Director, Skandinaviska Enskilda Banken S.A., Luxembourg. Born in 1981, employed by SEB since 2009, Master of Science in Industrial and Financial Economics. Deputy Managing Director & COO of Skandinaviska Enskilda Banken S.A., Luxembourg.